Natural stone, like any other product that comes from nature, requires a number of processes to convert it into a building product. 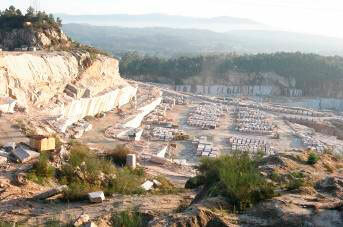 In particular, in the case of granite, the value chain is concentrated in Galicia. Therefore, it is a strategic industry for the autonomous region, where there is a large quantity of natural resources, a powerful extractive and processing industry, and the technology and knowledge needed to reach the end client with the necessary guarantees.